Print your own Quick ID Guide. 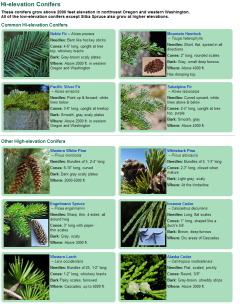 You can download and print a Quick ID Guide for the conifers of northwest Oregon and western Washington. 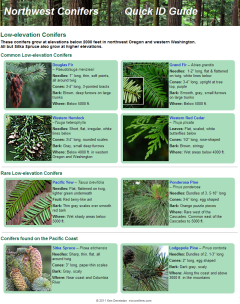 The Guide is based on the Low-elevation and Hi-elevation pages. If your printer supports duplex printing, you can print the guide on one sheet of paper. For best results print on white cardstock.